Babies are arguably the hardest people for which to buy presents. Not only can they not tell you what they’d like, but also they don’t need much, to begin with. 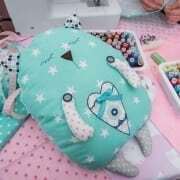 For those who want to give great baby gifts without spending a lot of money, sewing is a great option. It is easy to learn, and you can make amazing things with it. Here there are 10 of the best baby gifts to sew. There aren’t many baby items that are more practical than a bib. They help to prevent otherwise inevitable messes with food and drinks. Bibs also help to keep the baby clean. Not to mention, they look incredibly cute. Sewing a bib is a great gift for any baby who is starting to eat at the table. Plastic and other more resistant materials can be sewn onto the front in order to keep the bib practical. Parents will also love the gift to help keep drool and food from getting everywhere. At first, baby toys may not seem like the easiest or most practical things to sew. However, soft baby toys are fairly easy to sew and make for an excellent gift. This is also a great opportunity to get creative in your designs and sewing skills. Some great ideas for baby toys to sew include stuffed animals, dolls, sock puppets and anything that a child would enjoy playing with. Another great feature about this gift is the uniqueness involved. Giving a completely original gift is very cool and will be treasured for years to come. Babies wear hats to keep their heads warm, and because they look so adorable. Sewing a hat is a great gift that will get a lot of practical use. It’s important to ensure the hat is the right size before completing the project. A too-small hat will hurt the baby’s head, and one too large will fall right off. It is also crucial to choose a comfortable material that won’t irritate the baby’s head. Don’t be afraid to get creative with the design as there are many practical hat uses. Some are thin for inside and others thick for those colder days. Quilts are a blast to sew and can hold a lot of special meaning. They are often created by sewing a lot of different patterns or pieces of cloth together in a design. These individual pieces can be made from old blankets, old pieces of clothing or just some cool designs. A quilt is also a great way to help to keep a baby comfortable and warm at night. This gift has a great chance of carrying some deeper meaning. Consider finding ways to sew a message or meaning into the quilt to make it an even more personalized gift. After all, quilts can easily be something kept for years and years. Socks get a bad rep for being a terrible present to give someone. Socks that are sewn and custom designed, however, break that stereotype with ease. Babies need socks to keep their tiny feet warm and toasty. Sewing a pair of socks isn’t time-consuming and is relatively inexpensive as not much material is needed. If you don’t have a lot of time or trying to save money, sewing socks is one of the best-sewn baby gifts to give. You can even give several different pairs as a gift since socks get used a lot and repeatedly. Burp cloths are a bit different from bibs as they are primarily used to wipe up vomit and drool. These cloths are especially needed in the early weeks following birth. It is common for babies to burp and spit up after being fed. Drooling is also a common theme during this time. Sewing a burp cloth is fairly simple as these items are usually just a small piece of fabric. Baby will be glad to be free of spit, and the parents will love not having to use their hands to wipe it up. When being carried in a car seat or stroller, babies will often have a canopy to protect them from the sun, bugs and other things. These car seat canopies are a great baby gift to sew. They can be made from a variety of material and work as a unique gift that not many people would think about. It leaves a lot of room for creativity in the shape and designs as there is a lot of space to be used. Pacifiers are used a lot by baby’s who have recently been born. They do a great job of satisfying the child, but they always seem to be falling out. A great baby gift would be to sew a pacifier clip that can help prevent it from dropping. The clip usually hooks onto a shirt so that the baby doesn’t completely lose the pacifier when it slips. You’ll need to find some way to clip the material to the pacifier. Other than that, however, they are relatively easy to make, and they are a great gift. The cold, winter months are the hardest as a baby. Without being able to move to keep warm or having much body weight to help with insulation, babies are prone to getting very cold. Sewing a nice pair of gloves or mittens is a great gift during the winter time to help keep those hands nice and warm. Gloves are much more difficult to sew as they require dexterity around the fingers. Mittens are simpler to make and may even provide more warmth. There is nothing cuter than a baby in a pair of pajamas. It’s even cooler when the pajamas were custom made. They can be sew with a baby’s name, favorite animal or cartoon character and anything else that makes it unique. Giving a baby a gift doesn’t have to be complicated. If you know how to sew, then it can be very easy. These 10 ideas are a great place to start. 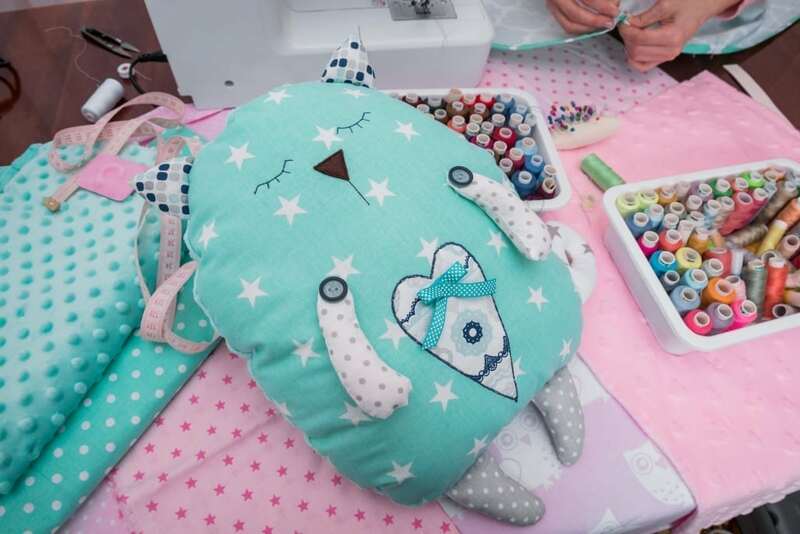 To get more ideas about sewing not just for babies but adults as well, check out our website for more information and services we offer.